North Devon stakes claim to having some of the best golf courses in England, the quality of local courses makes it one of the best destinations in the country. The Royal North Devon Golf Club at Westward Ho! is the oldest course in England, established in 1864 and dubbed the St Andrews of the South. The course itself is a challenging links layout designed by none other than Old Tom Morris (The Grandfather of Golf) famous for designing the best of Scottish Golf courses. The Royal North Devon Golf Club is the only course outside of Scotland designed by Mr Morris and recently featured in the “Top 100 Courses in the World” that a golfer “must play”. 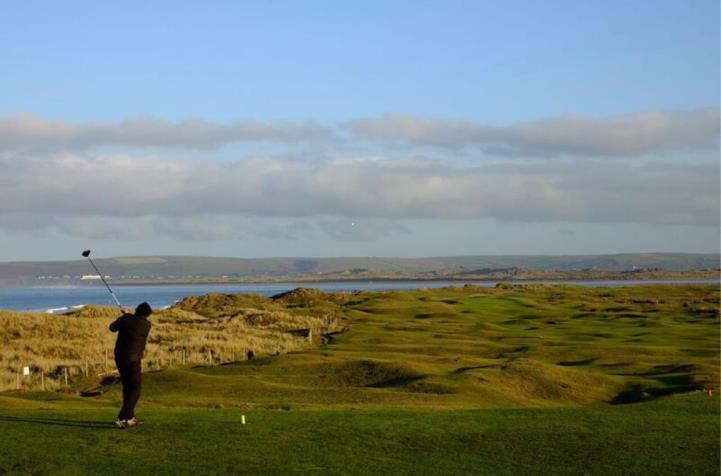 In addition, The Saunton Sands Golf Club is located on the opposite side of the Taw estuary in the unspoilt area of Braunton Burrows. The area holds the significant accolade of being designated as a biosphere reserve by Unesco ranking alongside Mount Vesuvius for importance of the natural habit. The club has two courses which utilise the outstanding links terrain, the East course ranked the finest in Devon and 16th in England offers a challenging mix to any keen golfer. The West course offers a second challenge for visiting golfers with a mix of fast playing and technical sections. Now that you have decided to visit North Devon for your golfing trip let us transfer you in comfort. Golf tours is an area in which we specialise, our commitment to service and local knowledge make the difference between a good tour and a fantastic tour. Also, we are happy to recommend restaurants, must see areas in Devon and local hotspots. Our range of luxury vehicles can accommodate groups of any size transporting your party and all your equiptment in comfort. We are based locally in Barnstaple making transfers efficient and cost effective, whilst offering a nationwide collection service including all UK airport, ferry posts and train stations.